Westminster Abbey is steeped in more than a thousand years of history. Benedictine monks first came to this site in the middle of the tenth century, establishing a tradition of daily worship which continues to this day. The Abbey has been the coronation church since 1066 and is the final resting place of seventeen monarchs. The present church, begun by Henry III in 1245, is one of the most important Gothic buildings in the country, with the medieval shrine of an Anglo-Saxon saint still at its heart. 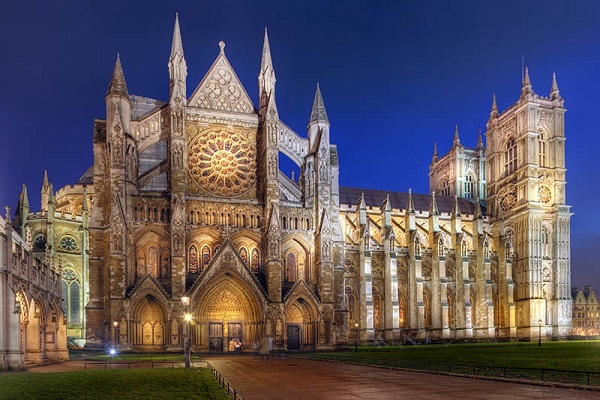 A treasure house of paintings, stained glass, pavements, textiles and other artefacts, Westminster Abbey is also the place where some of the most significant people in the nation's history are buried or commemorated. Taken as a whole the tombs and memorials comprise the most significant single collection of monumental sculpture anywhere in the United Kingdom. Westminster to give it its correct title) is a "Royal Peculiar" under the jurisdiction of a Dean and Chapter, subject only to the Sovereign and not to any archbishop or bishop.